Champagne: time for the bubble to burst? Us Brits, we love our Champagne. More than ever, it seems, with imports up 16.3% in 2010 to 35.5 million bottles. That’s more than twice as many bubbles as America, with their Hollywoods and their New Yorks and their Texan oil barons and Wall Streets and all their very many people. The link between celebrating and popping champagne corks is unbreakable, one of the great public relations triumphs of all time. But it is something that leaves me utterly perplexed. 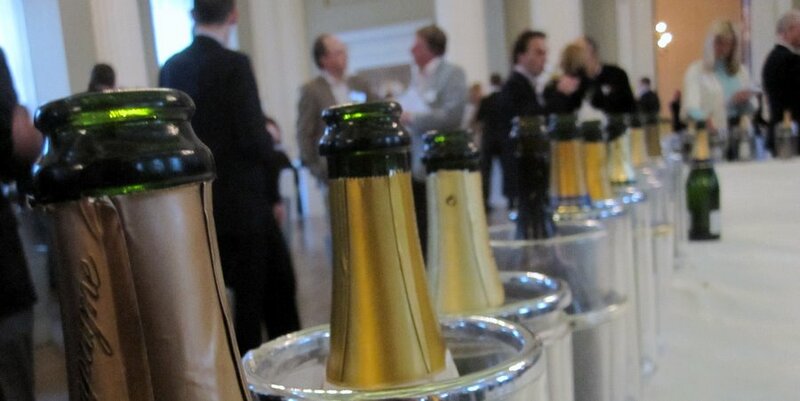 Last week the Champagne Bureau put on their annual tasting in London’s historic, astonishingly well-placed and bewilderingly lavishly ceilinged Banqueting House. Eighty-three producers, 250 wines, 3,000 bottles opened and one over-riding reaction: a lot of this stuff really stinks. It can be so aggressive, attacking you with a triple whammy of ultra-cold temperatures, wild acidity and tiny, vivacious and bountiful bubbles, and then socking you with madcap fruitiness, all before letting you down with a bitter aftertaste. At its worst, and I’d probably put a good 25% of what I tried in that category (easily outweighing the ones that seemed genuinely pleasurable), this is some of the most unpleasant wine that you can get. The only good thing about a lot of champagne is that, unlike other disgusting wine, you can get away with mixing it with something actually nice, like orange juice, or just shaking it a lot until it pours itself over the floor and you can get rid of it using a mop. I tasted just a fraction of the wines on show. Perhaps I was simply unlucky. But the Wine Society’s Marcel Orford-Williams, who approached the tasting somewhat more systematically than myself (I spent a good 20 minutes just wondering around marvelling at the number of champagne bottles around, and then I noticed the ceiling – “the most important painting set within an architectural context in England”, says TV historian David Starkey – which was another 20 minutes, and I only had an hour or so), used the word “horrid” to describe the wines of 23 different producers. Readers are exhorted to “leave alone” the offerings of a further eight, seven are either “awful” or “dreadful”, there’s a “dire” and one “unspeakably nasty”. Perhaps I was lucky – the worst vintage champagne I tried, a 1998 from Arlaux (at £60 a bottle), got a relatively enthusiastic “barely decent”. Some people have criticised his brevity and bluntness, but I was there. I tasted the same old rubbish, or at least some of it. Tim Atkin, without being so blunt, said that “the average quality was disappointing”. This wasn’t supermarket own-brand rubbish, either. This was top-end stuff, the cheapest of it fetching the kind of prices that would pretty much guarantee you some degree of excellence from any other corner of the wine world. But it wasn’t all bad. Pol Roger, my favourite major Champagne house, didn’t disappoint, from their “basic” house champagne through the vintage to their famed but pricey Cuvee Winston Churchill (the first time I’d tried it) they showed how good Champagne can be – relaxed, complex, nuanced, genuinely luxurious. But in the main, there were only two things to marvel at – the ceilings, and the idea that us Brits, so reticent to shell out a penny over a fiver for ordinary table wine, will gladly pay £20 or more for such nastiness, and still consider it a cause for celebration. This entry was posted in Uncategorized and tagged Champagne, pol roger. Bookmark the permalink. In the U.S. beer and wiskey seem to be the most popular. Campagne is mostly a top seller for holidays and grand openings and of coarse New Years Eve!